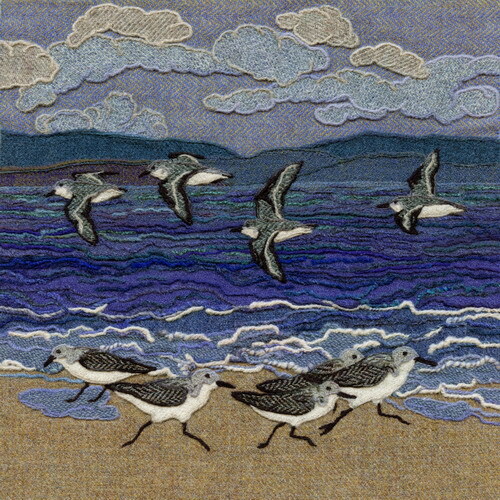 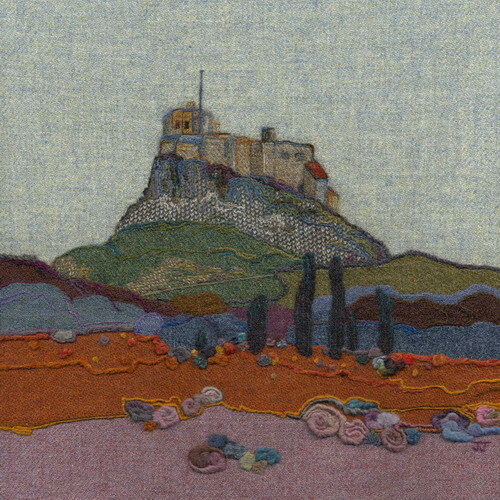 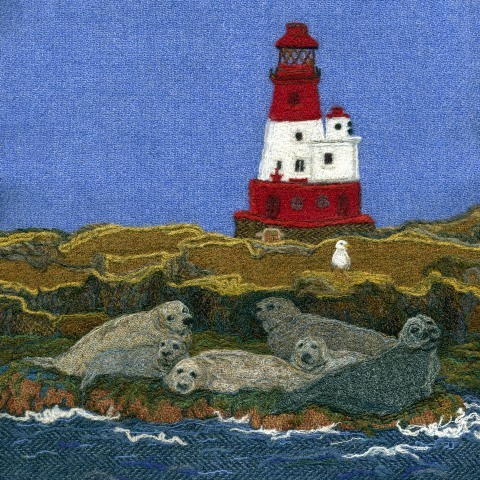 Jane is a local artist who creates colourful textile art from Harris Tweed and wool yarn. 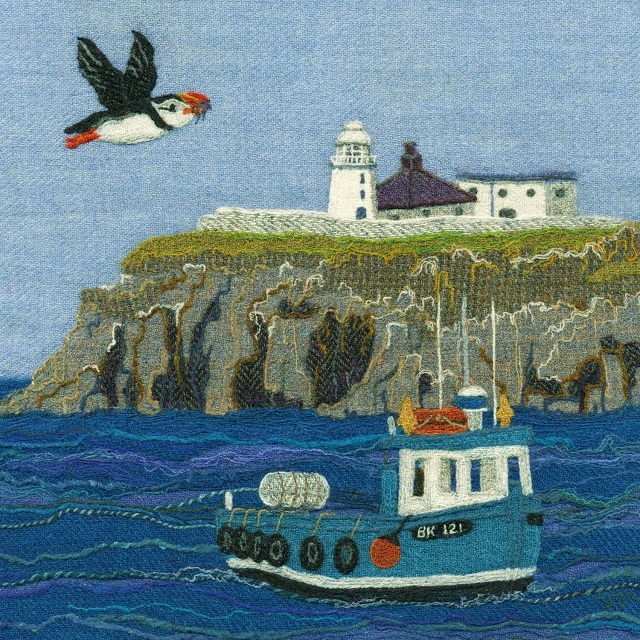 By making clever use of the patterns and textures within this very special fabric, which is still hand-woven in the Outer Hebrides, Jane is able to represent familiar local landscapes in a unique and unusual way. 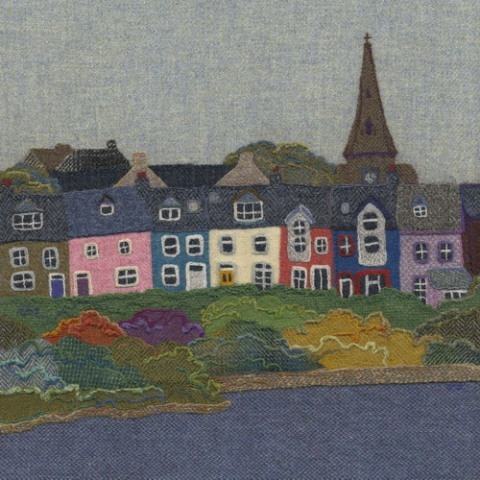 Jane gradually builds each piece of work using hand held barbed needles, which are repeatedly pushed through a collage made from layers of tweed and yarn until the microscopic woolen fibers fuse into a solid felted piece. 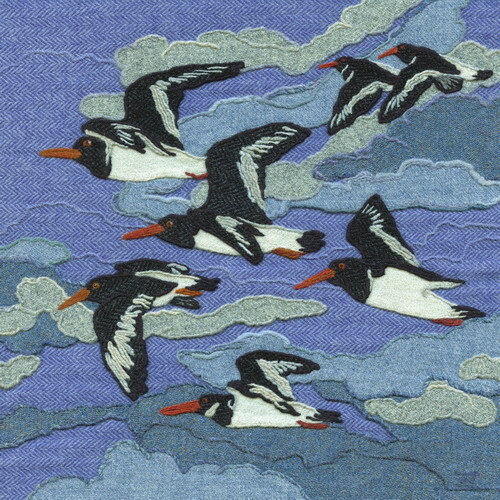 Please telephone or visit to see what stock we currently have on show from Jane.